The ProForce V2 uses a combination of 19 types of aerospace-quality materials. These micro-fiber layers are situated in a proprietary fiber orientation to ensure constant taper and consistent flex and feel between each shaft weight category. ProForce V2 is for the player seeking a flatter, more penetrating ball flight. The firm tip section produces a medium launch condition and increased ball flight. 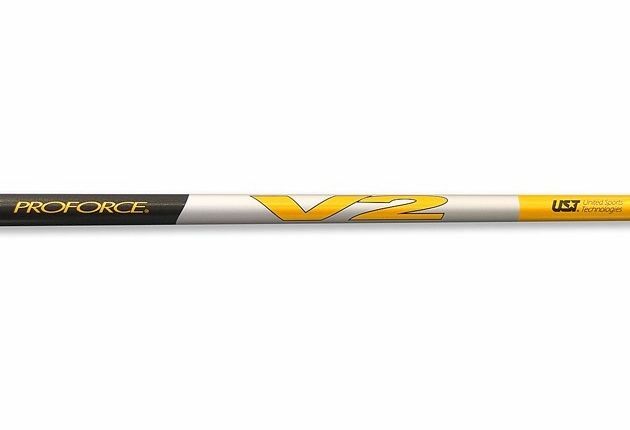 The Proforce V2 uses the most superior materials and design to produce a very stable, consistent golf shaft. The super low-torque provides maximum control for today's larger club heads. The new V2-65 is designed for Low to Mid Handicap golfers with average tempo looking for maximum distance with control. The V2 uses the most advanced materials and design to stabilize the larger 400 to 450 cc. heads for maximum energy transfer at impact. Tip Trimming: Driver: 0"; #3 W: 1"; #5 W: 2"; #7 W: 2".